Khalid al-Falih says the "current cycle" of falling crude prices is almost ending, spelling disaster from inflation viewpoint for India. India, which imports about 80 per cent of its fuel needs, could see its finances going haywire if a recent statement by Saudi Arabia's Minister of Energy, Industry and Mineral Resources Khalid al-Falih proves right. On Sunday, the minister said that crude oil prices are "nearing their end" since the demand-supply dynamics are improving. "The current down cycle is nearing an end. Market fundamentals, in terms of supply and demand, have begun to improve. 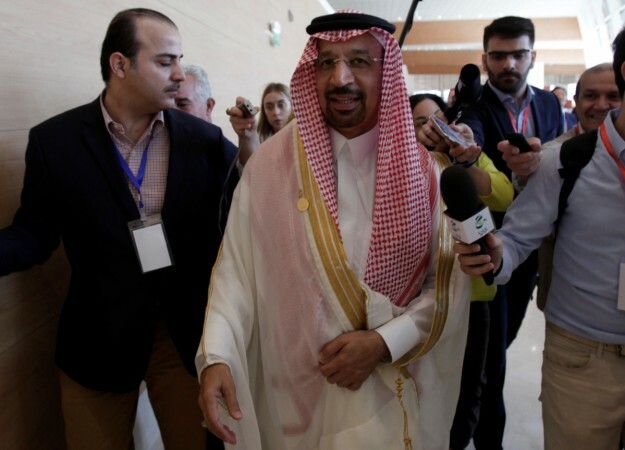 We are optimistic that oil prices will continue to improve in the future," Khalid al-Falih told a joint press conference with his Russian counterpart Alexander Novak on Sunday after a Gulf ministerial meeting in Riyadh, reports AFP. Oil prices have rebounded sharply from $30 per barrel in January this year to levels of $50 currently in the global market. As a businessman put it aptly, it could well end India's honeymoon on inflation. "As oil touches 50$, India's honeymoon on inflation, current account may be over. Micro needs to improve faster as macro tail winds slow down," Uday Kotak, executive vice-chairman and managing director of Kotak Mahindra Bank, tweeted in May. India's disproportionate dependence on crude oil to fulfil its massive fuel consumption makes it vulnerable to rise in prices in the international market. If the cost of landing crude goes up, there is a cascading effect on domestic petrol, diesel and aviation fuel prices, spiking inflation. This could be politically disadvantageous for Prime Minister Narendra Modi's Bharatiya Janata Party (BJP), which is eyeing a comeback in Uttar Pradesh where elections are due early next year. A win in India's largest state would not only strengthen the ruling party at the Centre, but also enable it to improve its numbers in the Upper House (Rajya Sabha), crucial to pushing economic reforms that have a pan-India effect. The international crude oil price for India was $49.41 per barrel on October 21, up from $24.47 on January 21, 2016, according to data published by the Petroleum Planning and Analysis Cell (PPAC) under the Ministry of Petroleum and Natural Gas. India's crude oil imports rose 9.1 per cent to 18.81 million metric tons in August 2016, year-on-year. Most of the refining and fuel retailing business in India is handled by state-run companies — Bharat Petroleum Corporation Limited (BPCL), Indian Oil Corporation (IOC), Hindustan Petroleum Corporation Limited (HPCL) and Oil India Limited. All the firms are listed on stock exchanges. The two prominent players in the private sector are Reliance Industries Limited (RIL) and Essar Oil. The latter recently sold 98 per cent stake to a consortium led by Russia's Rosneft for $12.9 billion.